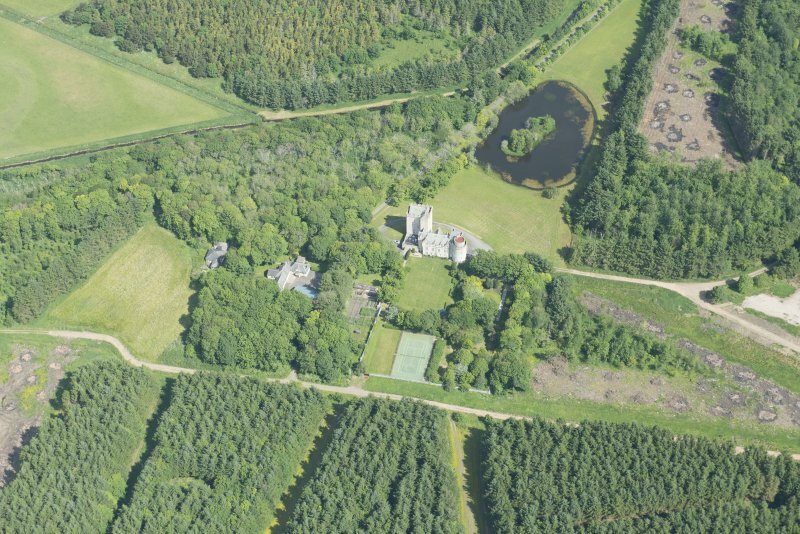 Oblique aerial view of Cairnbulg Castle, looking NNW. 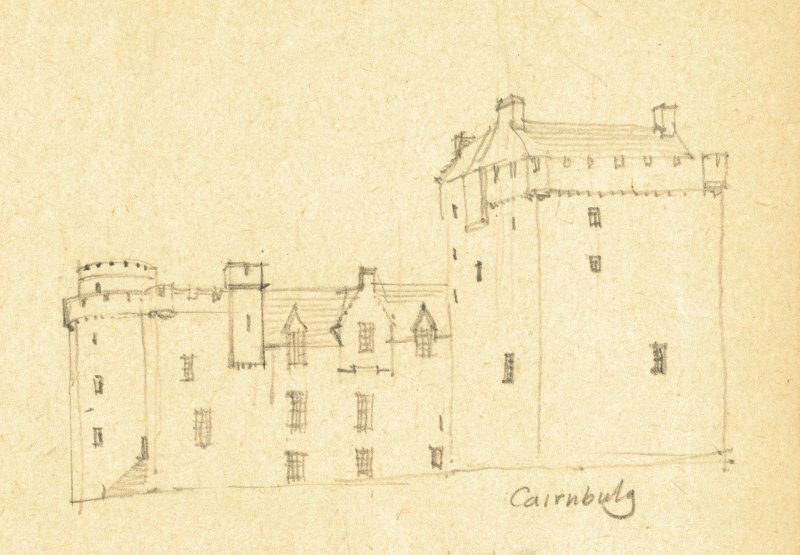 Drawing of Cairnbulg Castle. Detail taken from drawing of buildings in the parish of Rathen. 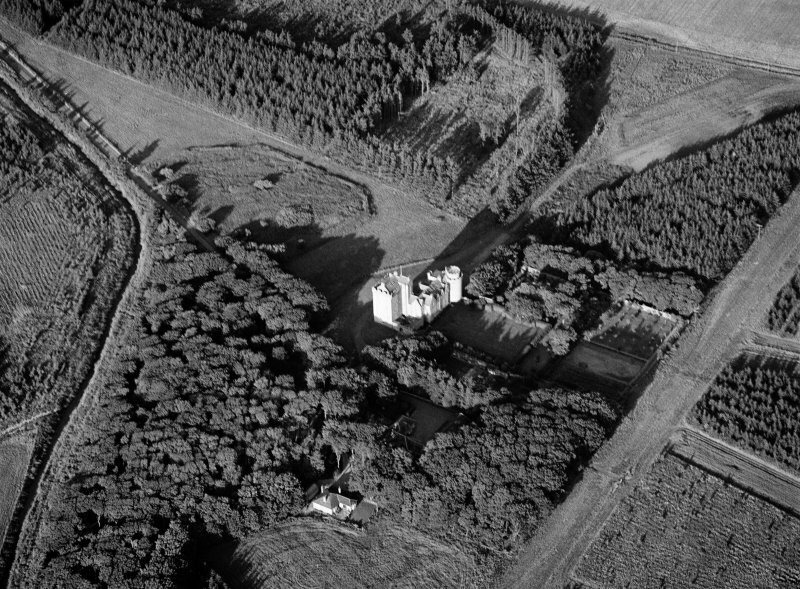 Oblique aerial view centred on Cairnbulg Castle, looking to the ENE. 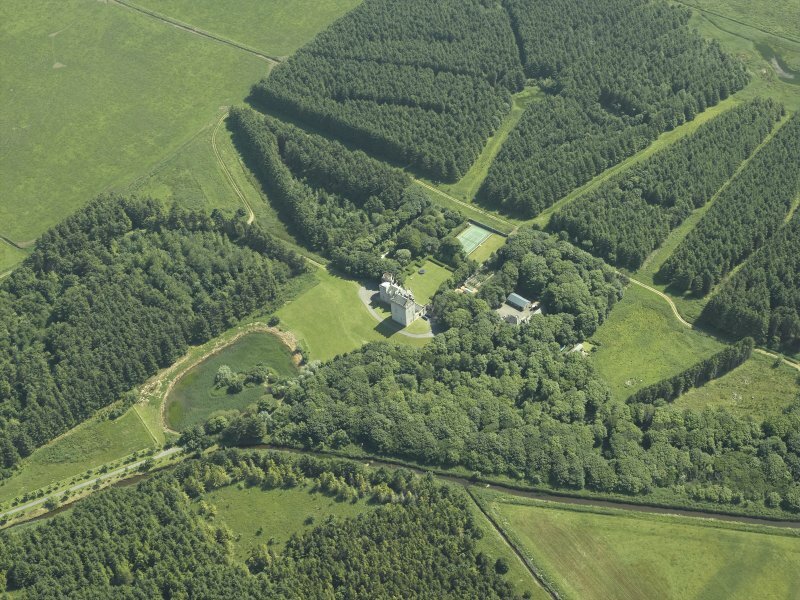 Oblique aerial view centred on the tower-house and walled garden, taken from the NW. 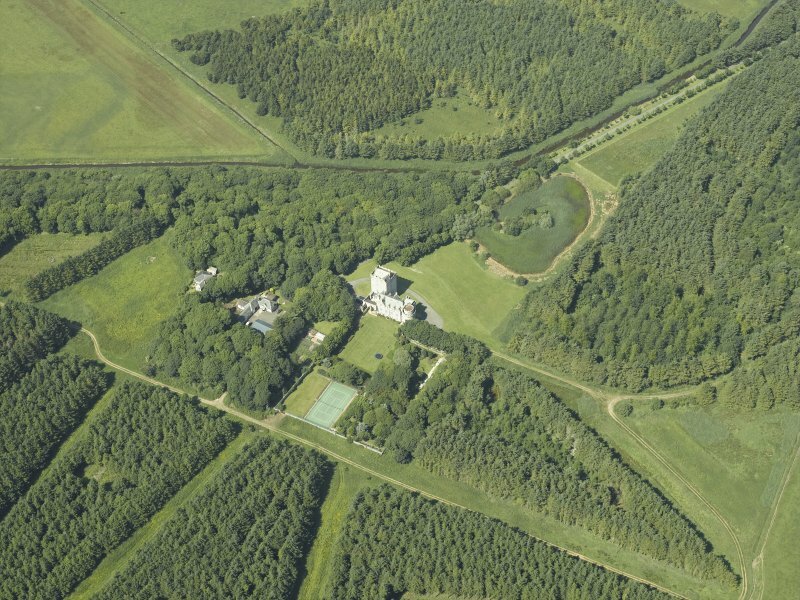 Oblique aerial view centred on the tower-house and walled garden, taken from the ENE. 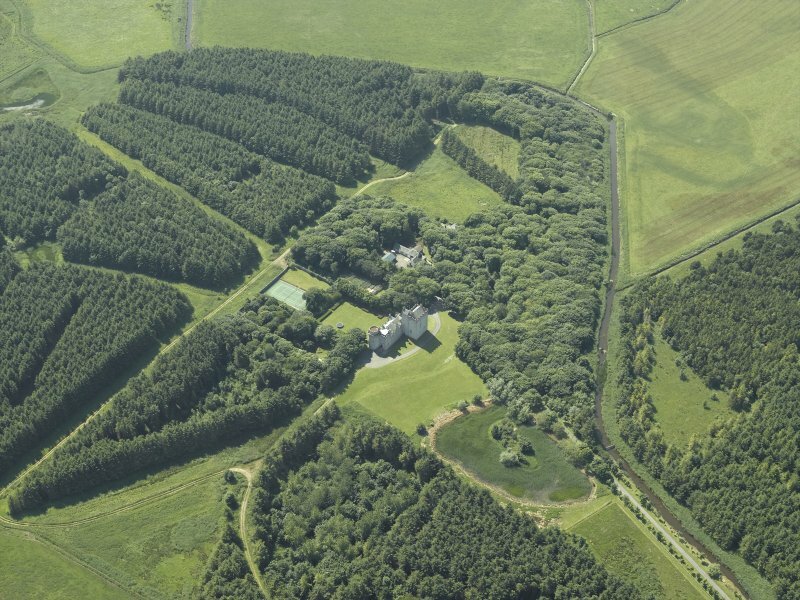 Oblique aerial view centred on Cairnbulg Castle, looking to the NE. 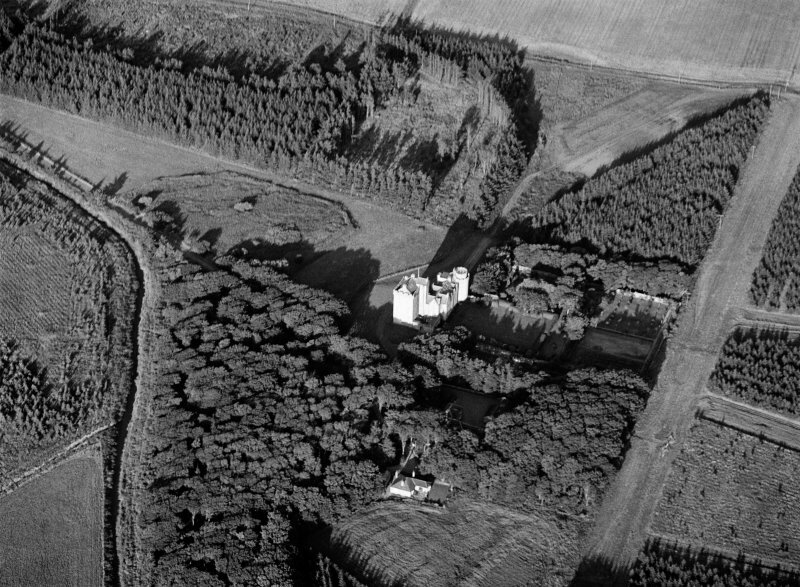 Oblique aerial view of Cairnbulg Castle, looking NW. 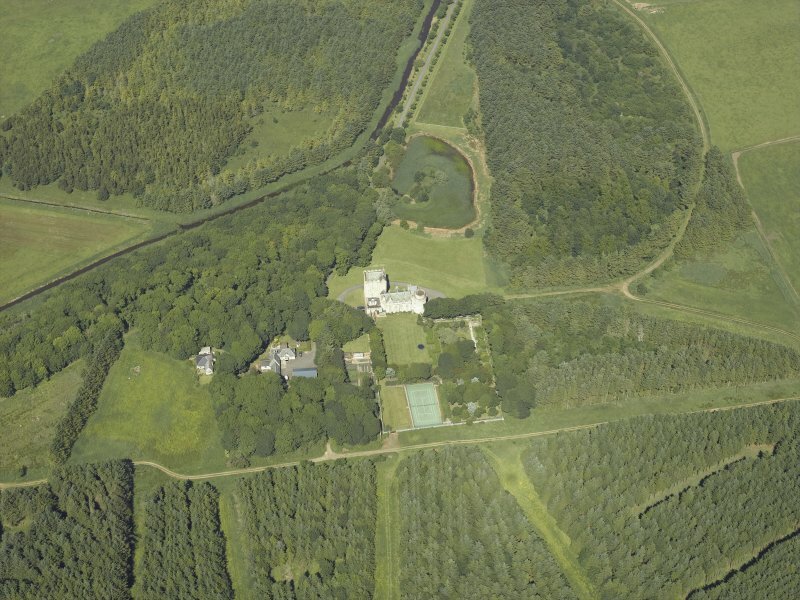 Oblique aerial view centred on the tower-house and walled garden, taken from the N.
Oblique aerial view centred on the tower-house and walled garden, taken from the SE. 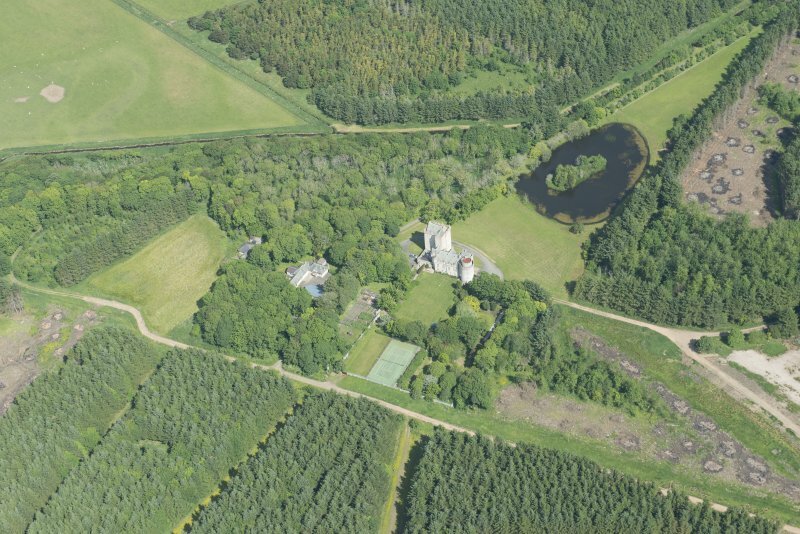 Oblique aerial view centred on the tower-house and walled garden, taken from the S.
Oblique aerial view centred on the tower-house and walled garden, taken from the W.
Cairnbulg Castle is situated on a fairly prominent mound which probably was originally a motte subsequently cut down into a platform for the existing stone building. It was surrounded by a moat, still traceable on the E side, which in the middle of the last century still retained water. Originally named Philorth, it belonged to the Comyns but was confiscated and given by Bruce to John Ross, son of Earl of Ross, in 1306. In 1615 it was renamed Cairnbulg. 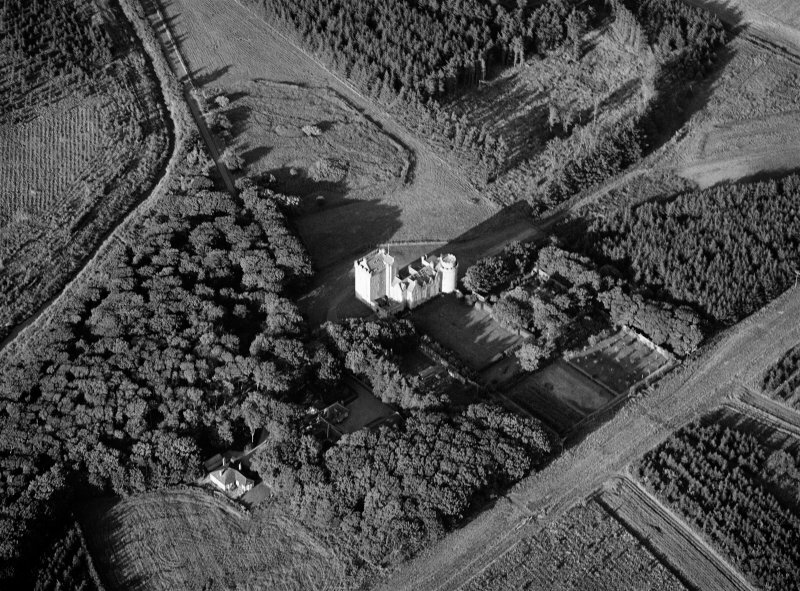 In 1896-7 the castle was heavily restored by Mr John Duthie and is now inhabited. The castle consists of a large and strong tower house, perhaps mid 13th century to 15th century to the SE corner of which was later attached, in the 16th century, to a long house known as the "low work" having at its SE corner a round tower. When restored the two halves were repaired and roofed and a new building, embodying the remnants of the old walls, was erected between them. The whole building is now harled. 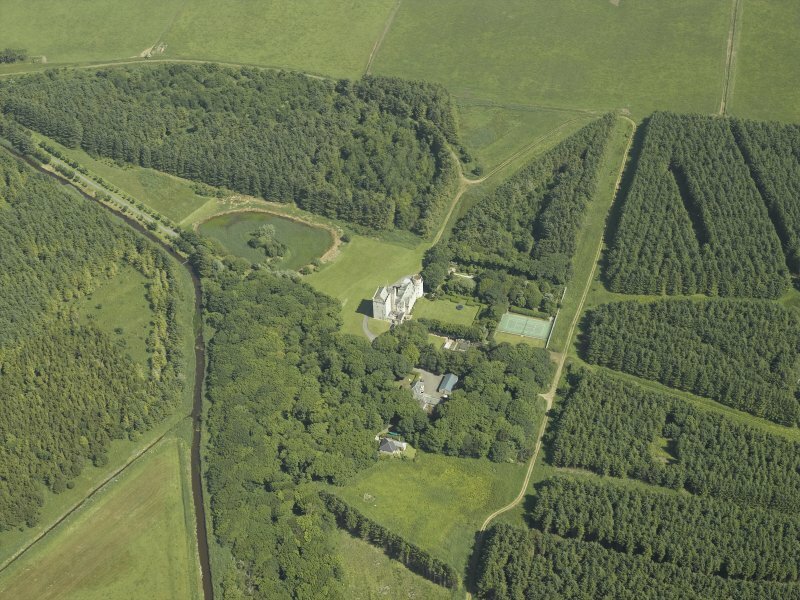 Cairnbulg Castle as described and planned; but there is no trace of a moat. Visited by OS (RL) 15 January 1969. This may be the site that is noted by Yeoman as a 'motte' at 'Rathen'. See also NK06SW 21. Information from RCAHMS (RJCM), 20 February 1992. 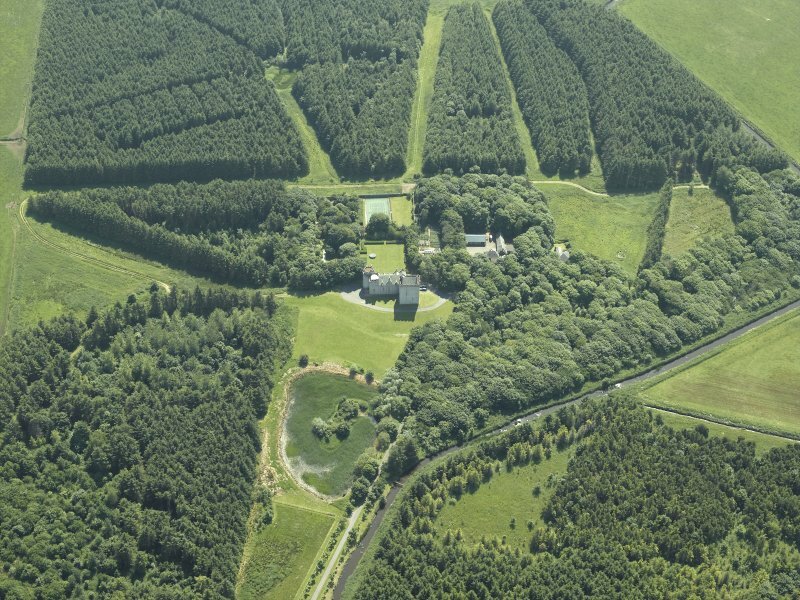 Possible motte with moat; tower-house with 16th century longhouse added; restored 1896. ARCHITECT: Jenkins and Marr, Aberdeen - restoration 1896-7.